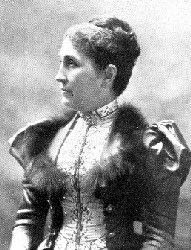 Born near Sullivan, Missouri on September 3, 1820, to William and Elizabeth Collins Hearst, George was the oldest of three children. Two years later, his sister Martha (nicknamed Patsy,) was born and later a younger brother Philip arrived, who was unfortunately crippled from birth. From a young age, George worked on the family farm and received very little formal schooling. Before long, George had improved on the farm’s profitability, opened a small store and leased a couple of prospective lead mines. The oldest economic endeavor in Missouri, lead had been mined in the area since 1715. Hearst had been interested in the mines since he was a child and once he bought the lead mines, he began to studying the mining business in earnest. His mines prospered, producing both lead and copper and within two years he was able to pay off his father’s debt. It seemed that everything Hearst touched literally turned to gold. Though he didn’t fit the mold of a millionaire industrialist very well, there was no doubt that he was well on his way to becoming an even more powerful and successful man. Remembered as “almost illiterate” and having a taste for poker, bourbon and tobacco, these traits obviously didn’t hold him back. 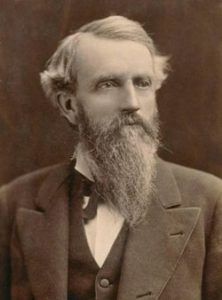 His manner and dress were often described as rough, disheveled, and crude, as he appeared in dirty and wrinkled clothes at board and miners’ meetings alike. In addition to his many mining activities, Hearst had been continuously acquiring land in the west, especially in California, and also substantial ranching and livestock interests. Two years later the prosperous Ophir Mine began to decline and it was thought by some that the Comstock Lode had finally been exhausted. 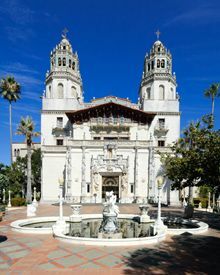 Hearst returned to San Francisco to look after his real estate investments and began to apply his mining expertise to assessing the value of prospective mining ventures. Traveling all over the American West, he received high fees for his services and sometimes invested his money if the prospects looked bright enough. Hearst frequently invested with a man named James B. Haggin and eventually the pair formed a mining partnership. Who would be interested in very nice early photos of the Hearst men mining and family.